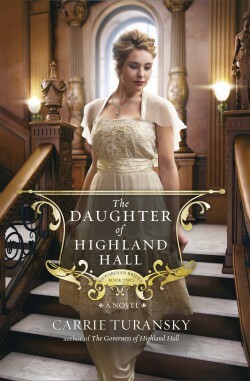 The Daughter of Highland Hall by Carrie Turansky picks up where The Governess of Highland Hall leaves off. Katherine Ramsey has just come of age and is stepping into her first season as a debutante in London. You think one night of going to the prom is nerve-racking? Imagine day after day of appointments, teas, dances, and trying to stand out in a sea of debutantes. The goal is to find a husband before the season is over. Kate’s aunt, Louisa, has made it her job to make this happen. At the beginning of this story, Kate is all about finding a wealthy man with tons of connections and a massive inheritance. This will give her the security she needs to live a worry-free, opulent life. The pressure to be perfect begins to get the best of Kate though, and we start to see her heart warm up to the idea of true love as she watches her Uncle William and his fiancé, Julia (her former governess), interact with one another. Could there be more to life than status? Could true love be somewhere in her future? Jon Foster is Julia’s brother and he’s come to stay at the Ramsey summer home with the family while he finishes his medical training and decides which career route he will take. His plans are to return to India to carry on his father’s former missionary work, but he’s been offered an opportunity to stay in London and climb the ladder to the top at a well-respected hospital. But it seems he longs for something different. 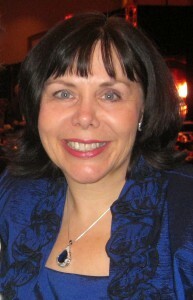 Is there a way to help others as he would in India yet stay near his family—and Katherine—in London at the same time? It really doesn’t matter because Jon doesn’t have a title behind his name, and dear old Aunt Louisa wouldn’t allow him to get too close to her niece anyway. As Kate blossoms into a woman who cares more for others than for herself, she must decide what she’ll do about the inevitable proposal that will come from one of society’s greatest catches. As rumors spread about her family, risking her reputation, the decision may not be hers to make, after all. That’s all I’m going to tell you about the story. You’ll have to read it for yourself to find out how it turns out. I will say that this story is masterfully woven by Turansky. It’s more than a romance. It’s about the faith of the characters, both weak and strong. And it’s a perfect example of iron sharpening iron. There are characters of every level of faith in this book and you get to see the process that occurs when each one accepts or rejects it. There’s some foreshadowing for the next book in the series, and I can’t wait to read it when it comes out to see if my guesses are right. Don’t miss this Edwardian romance! Clash of the Titles Turns Four and Celebrates with Amazing Giveaways! Great review, Sherri! I also loved this book and can’t wait for book three to come out next year. Thanks!! I can’t wait either! I love Carrie’s writing. She’s awesome!